As far as cars go, you’re either a track lover or and off-road lover. 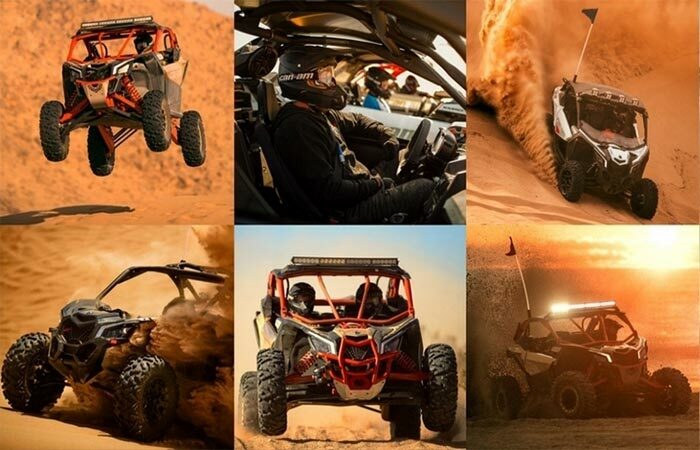 Well, if you’re an off-road lover, then you’re in luck because the latest release by Can-Am, the Can-Am Maverick X3, truly is an amazing off-road machine. 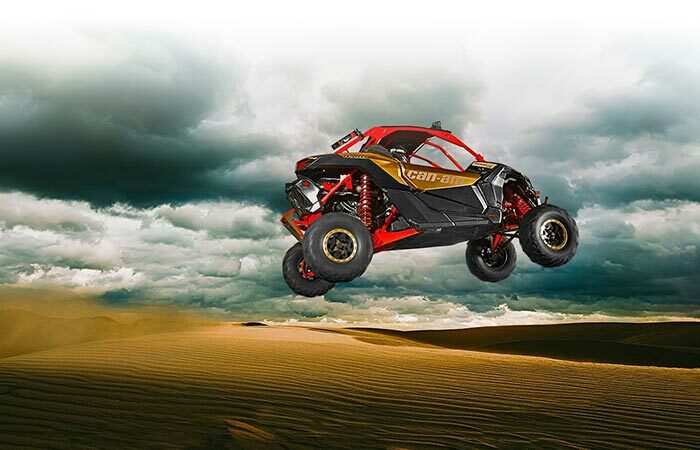 Be it dirt, sand, mud, rocks or mountains, the Maverick X3 was built to handle it. 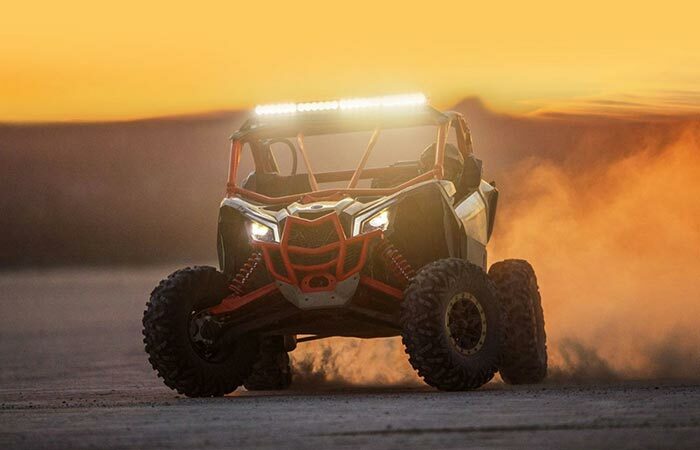 The Can-Am Maverick X3 features an amazing suspension system that allows for 22″ front suspension travel and 24″ of rear suspension travel as well as 15″ ground clearance. Classed as a side-by-side UTV, this machine was designed to handle the most difficult of terrains with utmost ease. Starting off with the motor, you’ll be pleased to know that it features a 900cc turbocharged inline three-cylinder engine that delivers an astonishing 154hp at 7,500 rpm and 113lb-ft at 7,000 rpm. The 1.85″ future-forward tubular frame design embraces an Ergo-Lok cockpit as well as the 900cc inline 3-cylinder turbocharged engine. The X3 features a 1.85-inch tubular steel frame that has been engineered into a future-forward design while the Ergo-Lok cockpit ensures that you have optimal comfort when you are tackling the wilderness. Don’t forget to check out the awesome videos below. These FOX 3.0 Podium RC2 HPG shocks are special enough to deserve their own photo shoot. However, when it comes to the suspension, Can-Am truly did pull out all of the stops when you consider that this beast offers and impressive 22” of front suspension travel and 24” at the rear suspension with a ground clearance of over 15”. This effectively allows you travel over Whoops at exceptionally high speed. Truly the ultimate off-road machine. If you’re as impressed as we are, you’d also be amazed at the fact that the X3 sends the drive to all four wheels via a quick-shifting transmission which allows the buggy to reach speeds of 60 mph (96km/h) in a mere 4.9 seconds.